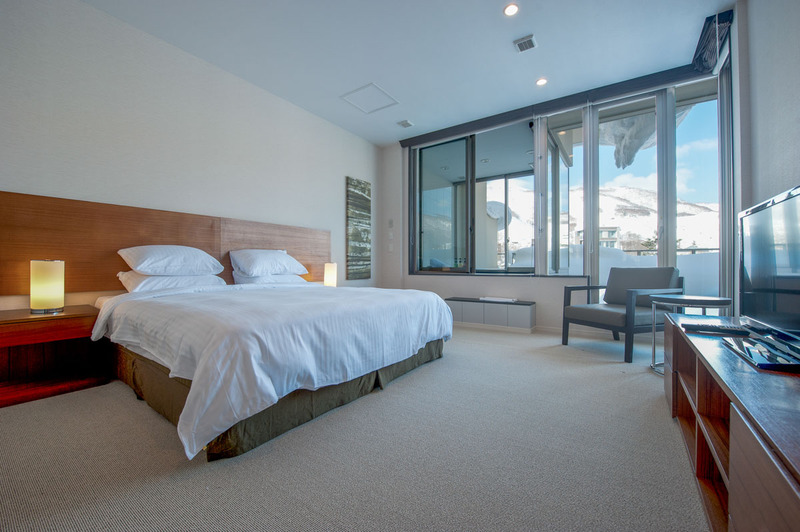 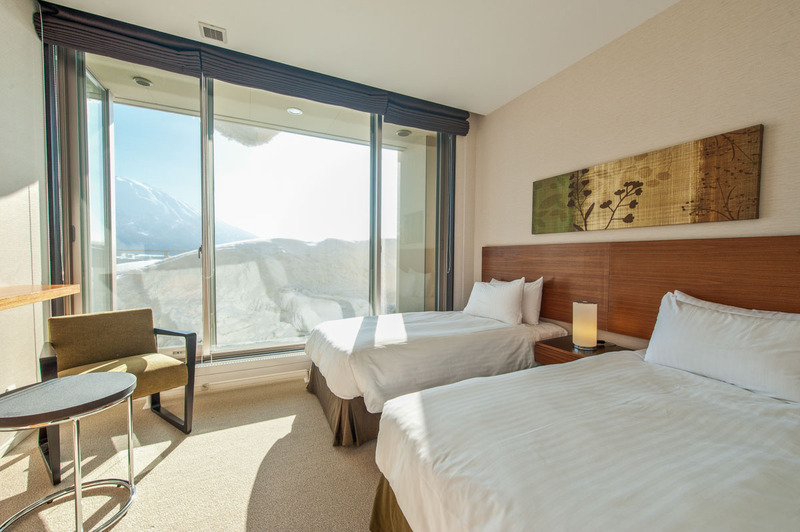 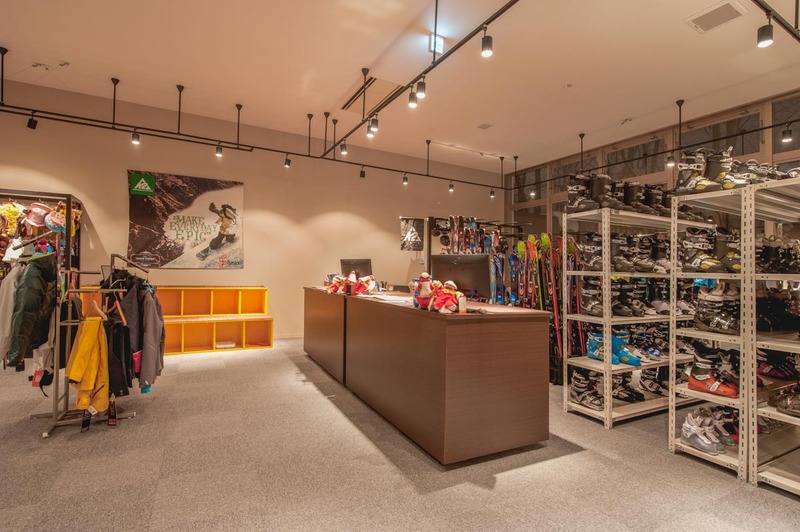 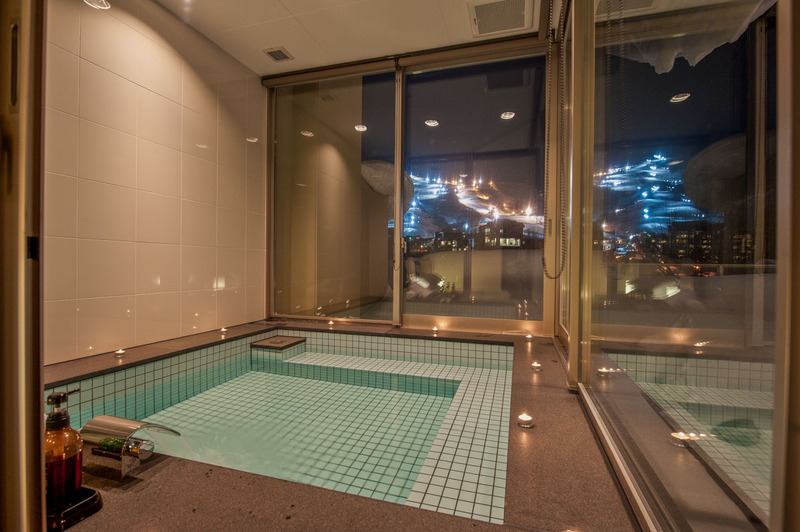 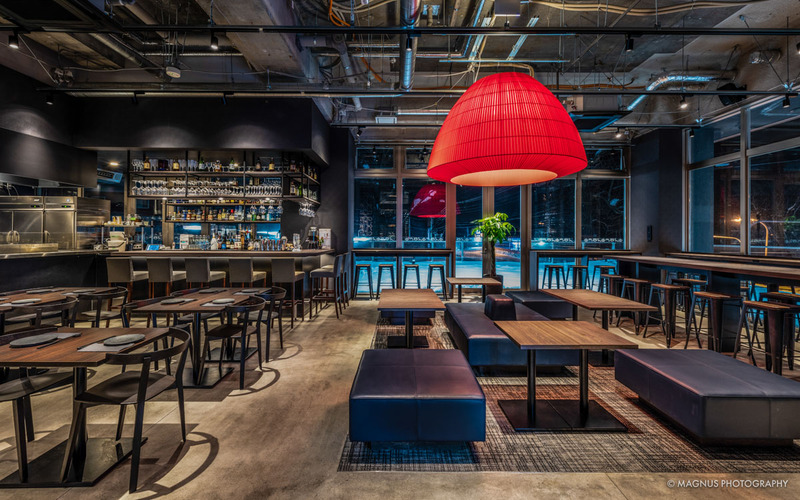 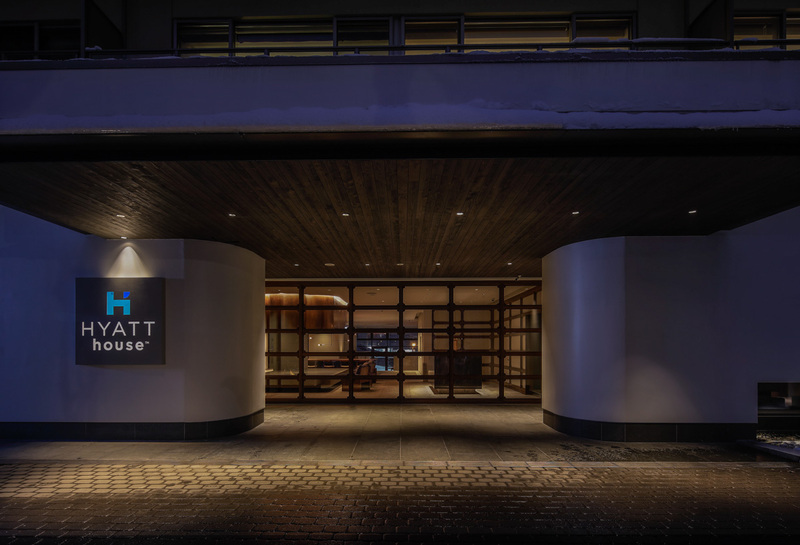 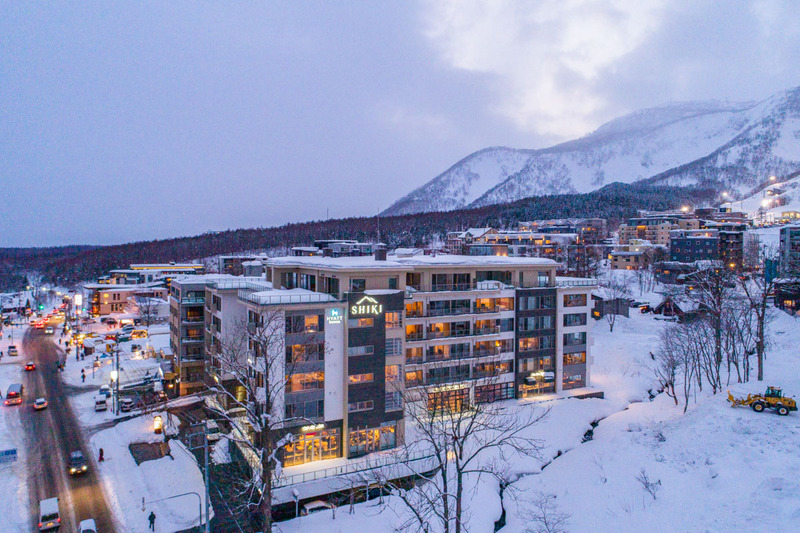 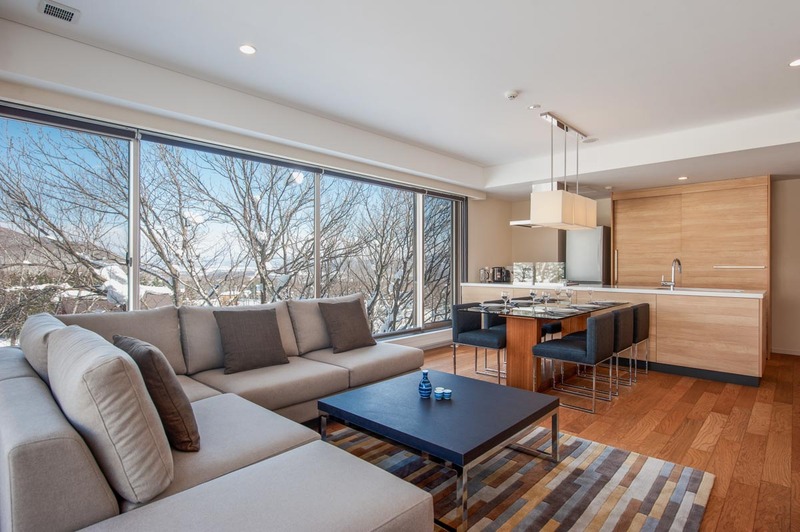 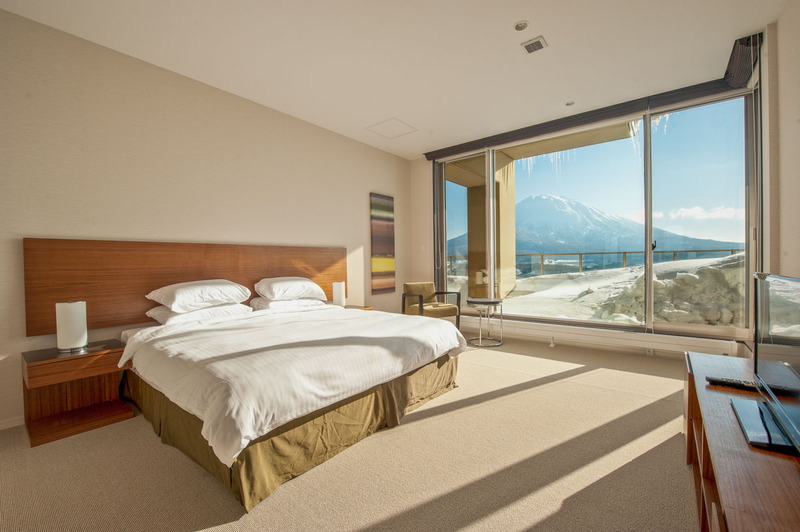 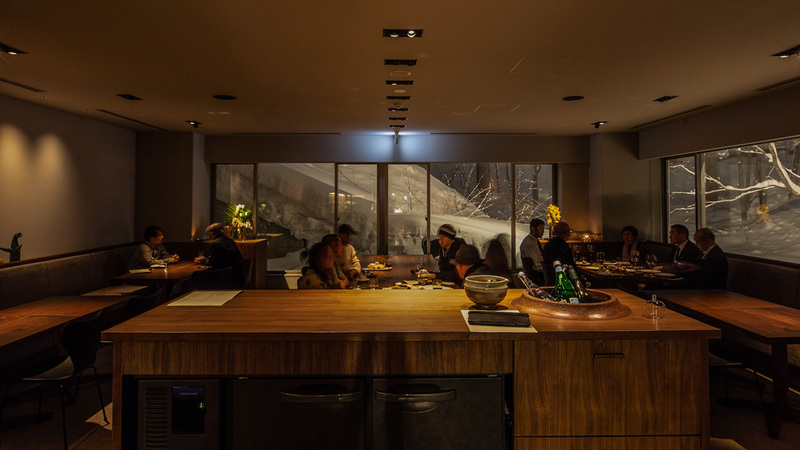 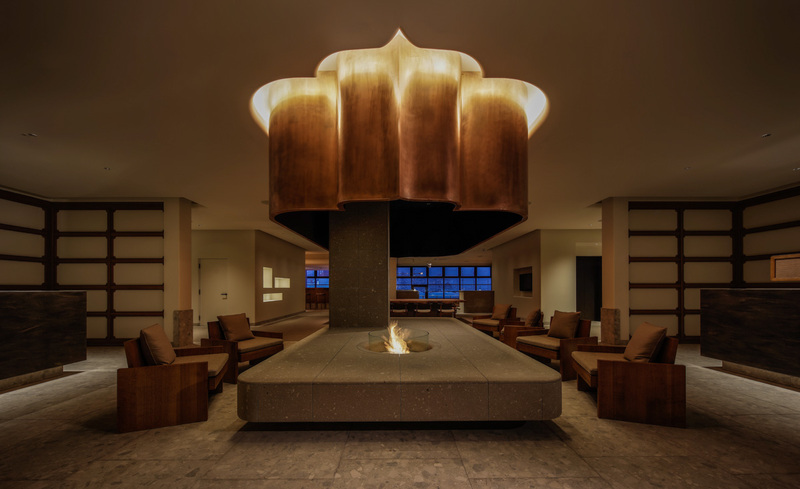 With comprehensive hotel facilities including 24-hour reception, Michelin-starred dining at Kamimura, ski equipment hire, free ski shuttle service, and spacious, fully self-contained apartments, Shiki Niseko is a luxury condo hotel with a central Hirafu location. 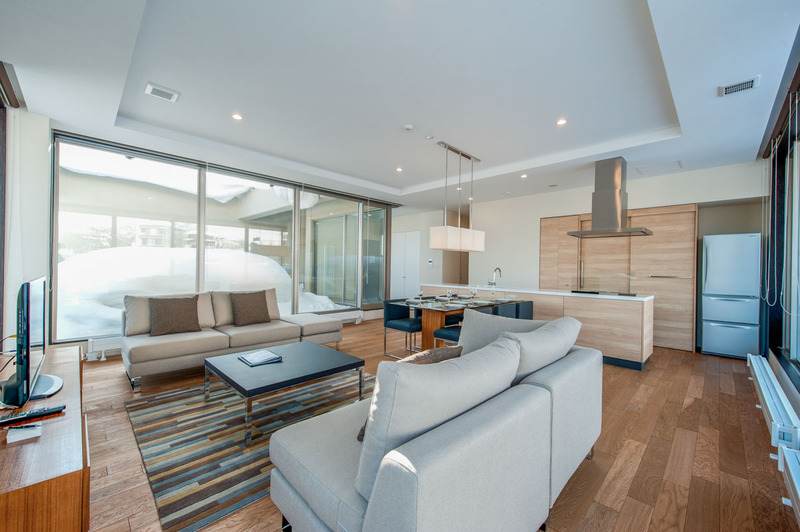 This modern accommodation is for those looking for urban chic accommodation whether you are skiing or hiking, featuring 68 apartments (1 to 3 bedrooms) with premium furnishing and fittings. 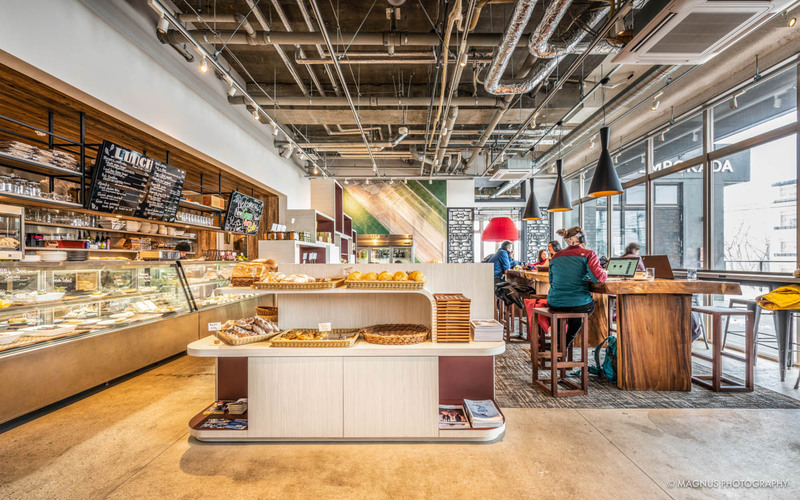 On-site amenities include a Michelin-starred French restaurant, a lobby lounge and a wine bar/cafe, as well as a supermarket. 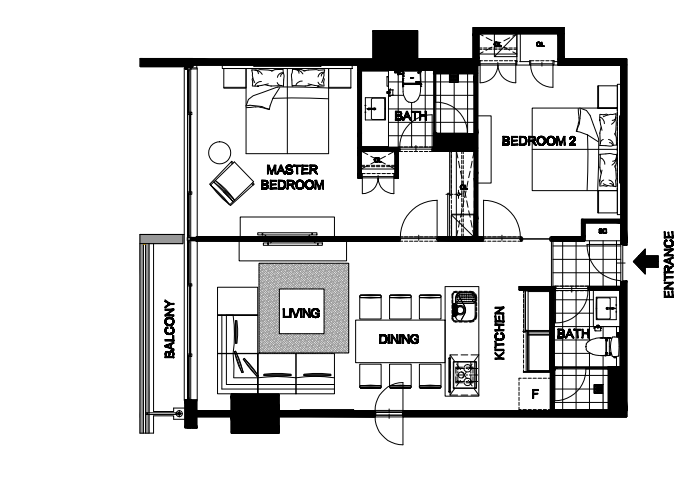 Washer/dryers are available, and enclosed parking is free. 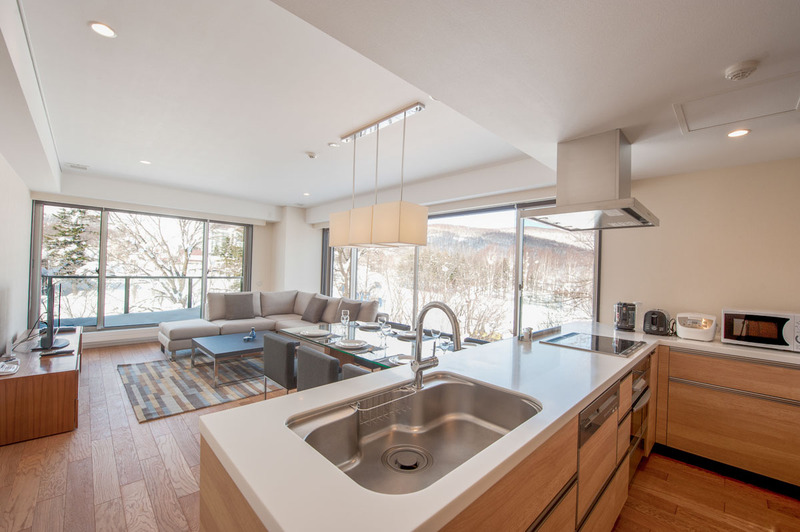 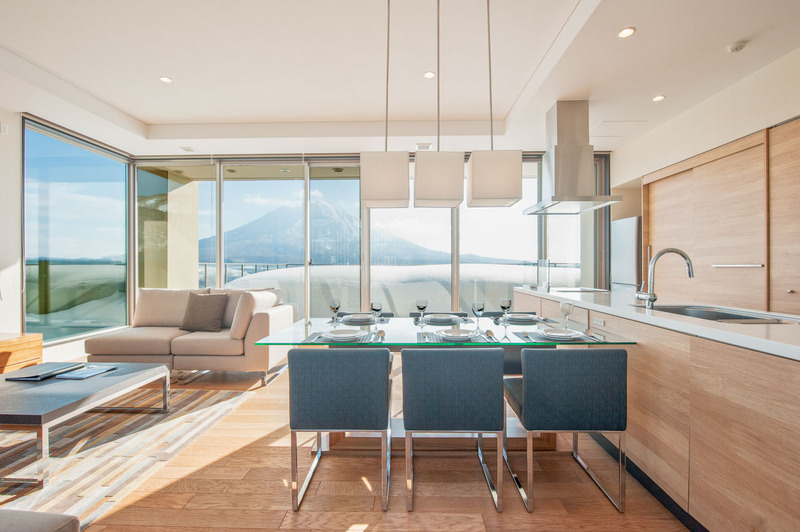 The contemporary homes feature floor-to-ceiling windows, flat-screen TVs and free Wi-Fi, as well as DVD players, living/dining areas and kitchens; some add views of Mount Niseko-Annupuri. 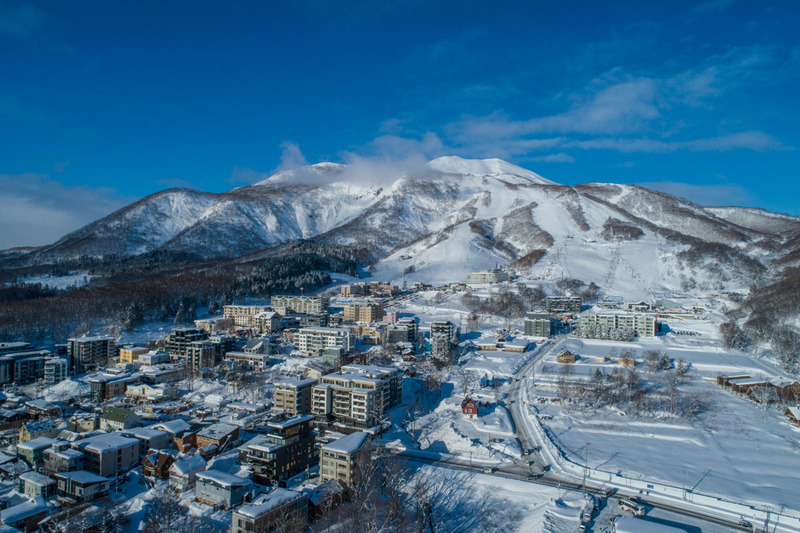 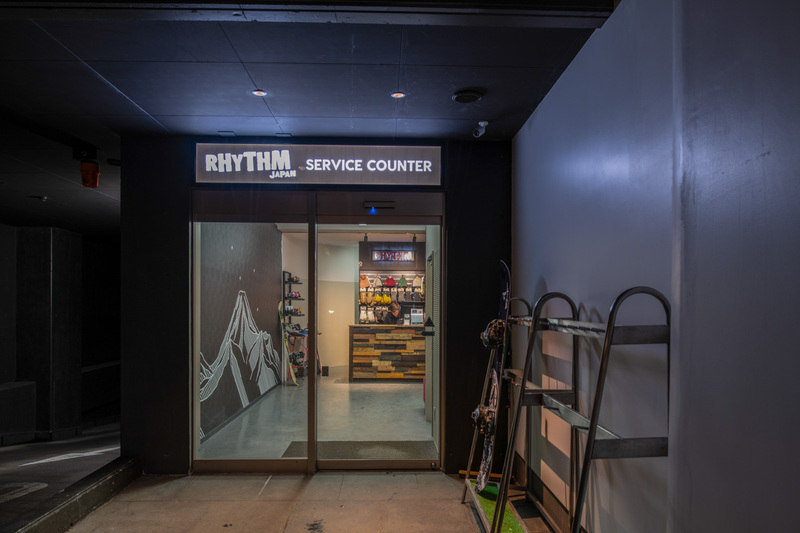 Complimentary scheduled transfers (to the Welcome Center, Ace Family Pair Lift, or the Hirafu Gondola Station), and the concierge can arrange ad hoc transfer services for night skiing. 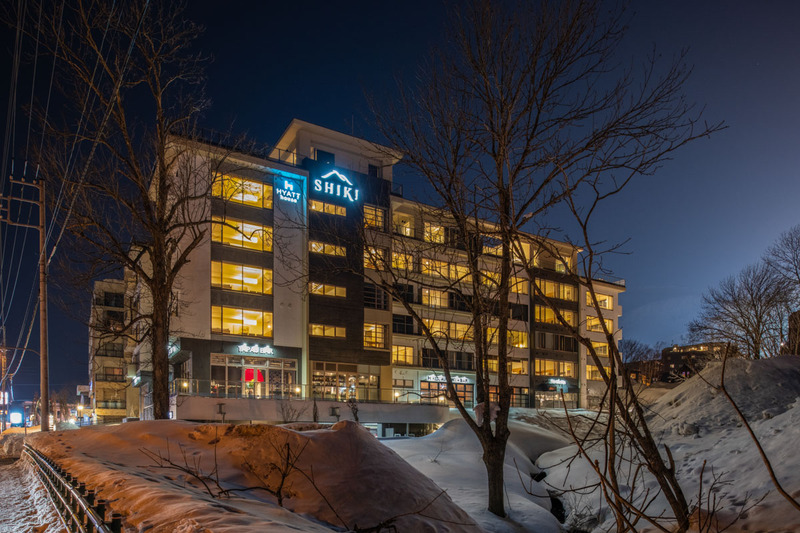 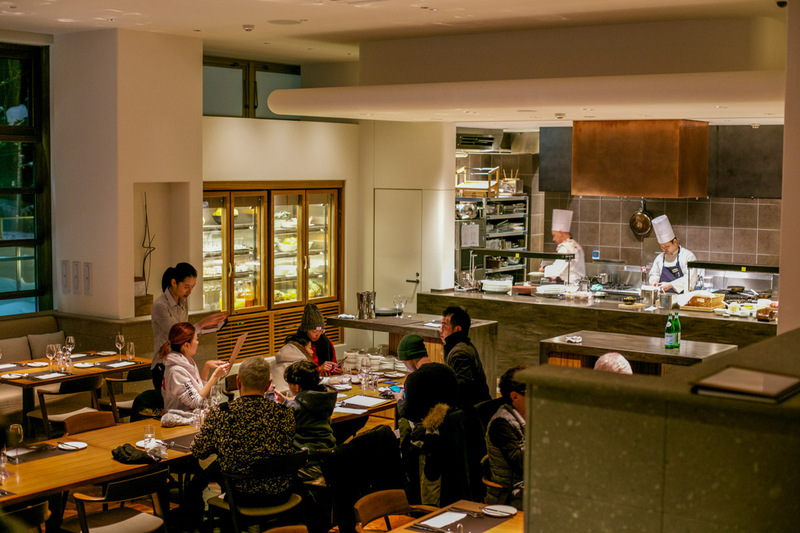 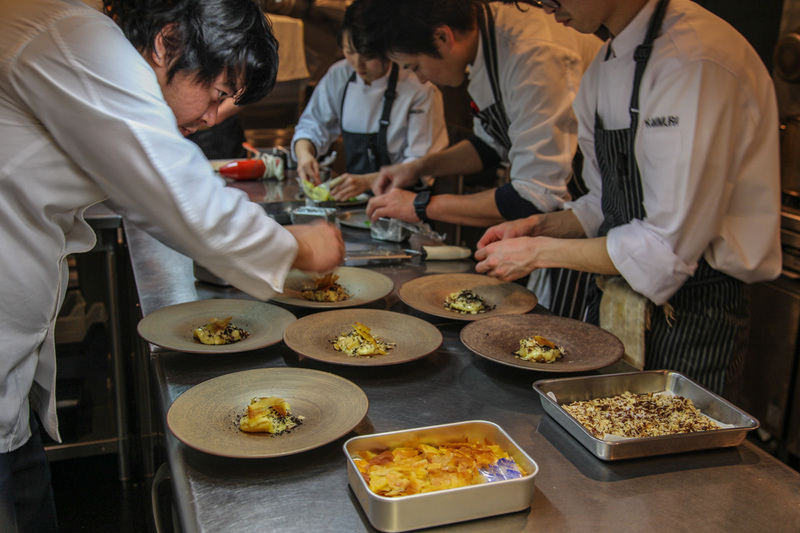 Shiki Niseko is located on the upper side of Route 343, one of the main roads that runs through Hirafu. 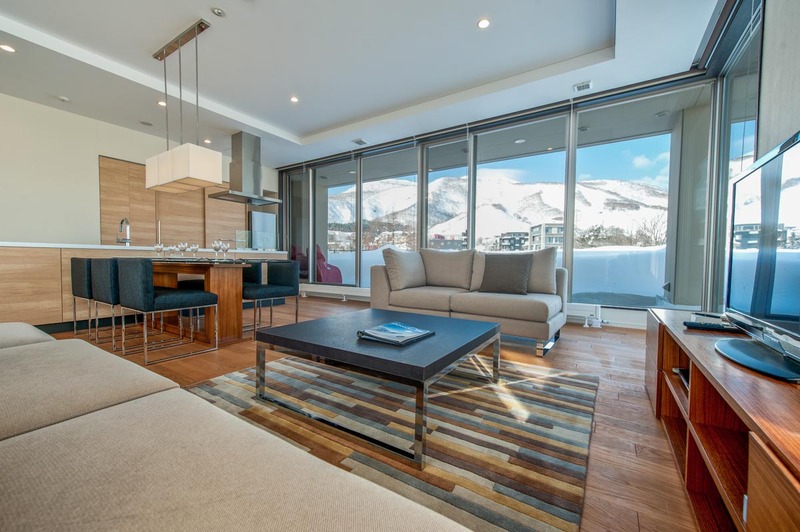 It’s a 5 to 10-minute walk across flat terrain to the family lift or a 15+ minute uphill walk to the Gondola or Ace Quad. 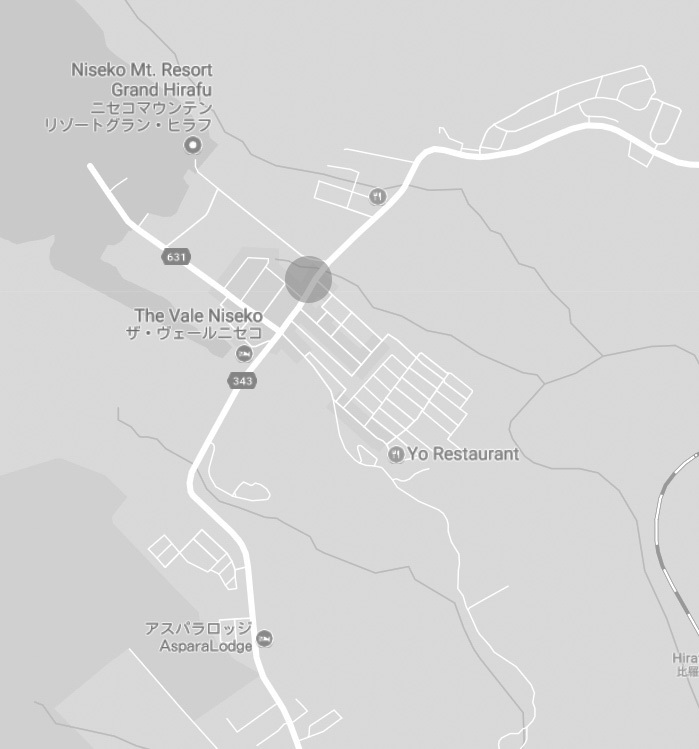 The free village shuttle is also right outside to pick up. 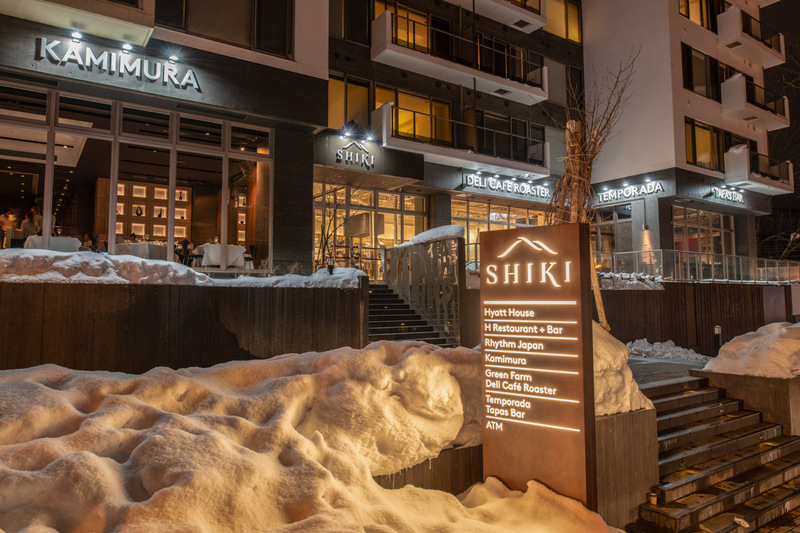 Shiki also runs its own free shuttle throughout the day. 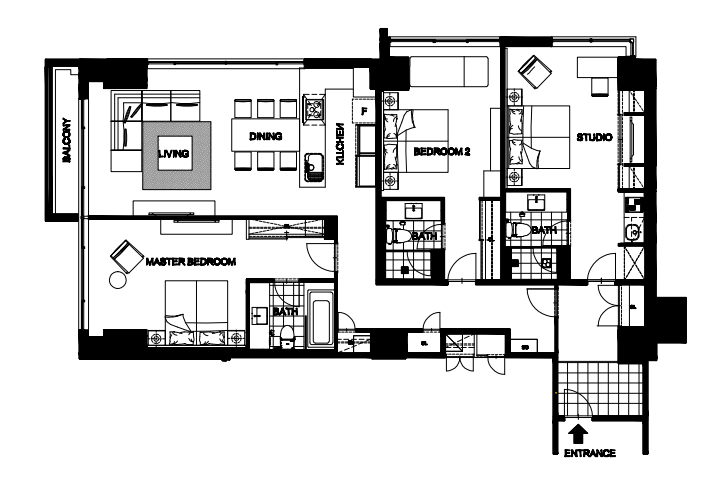 3 Bedrooms, the third bedroom is a semi-independent studio with own dining table, kitchenette and en suite. 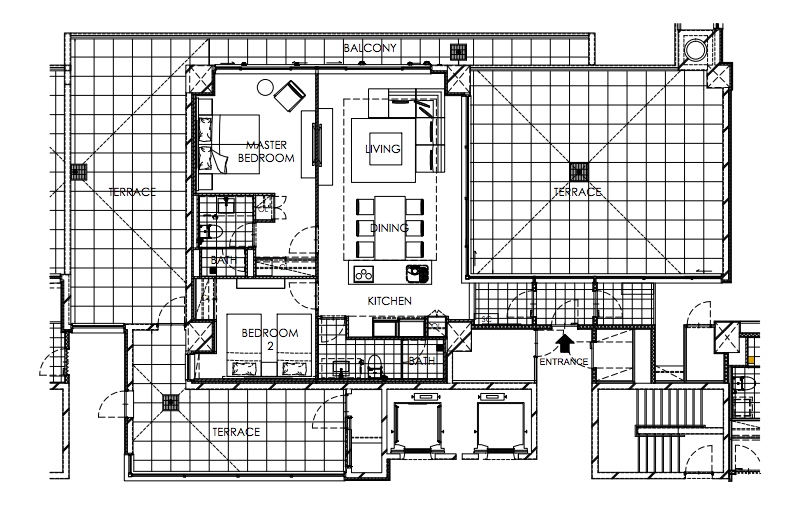 A full-feature kitchen and open plan living/dining. 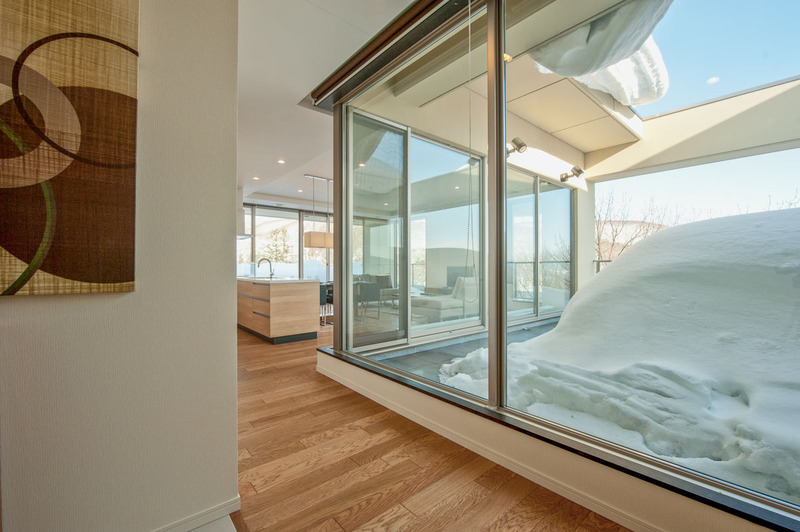 Feature windows on 3 sides mean buckets of natural light and gorgeous snow-covered vistas. 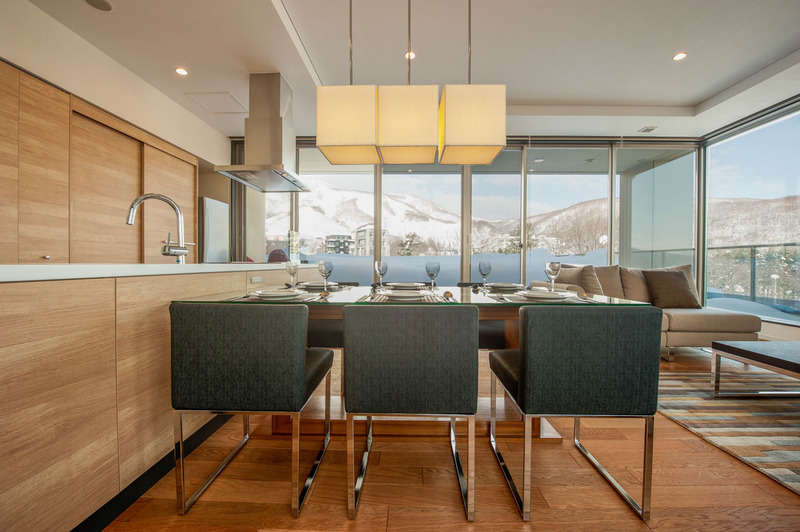 Bedrooms and living room feature views of Lower Hirafu Village, majestic Mt Yotei, or the Annupuri ski hills. 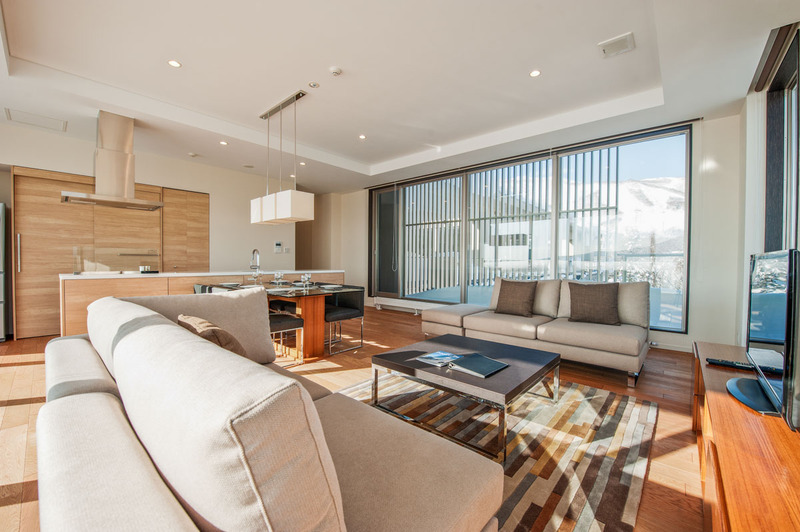 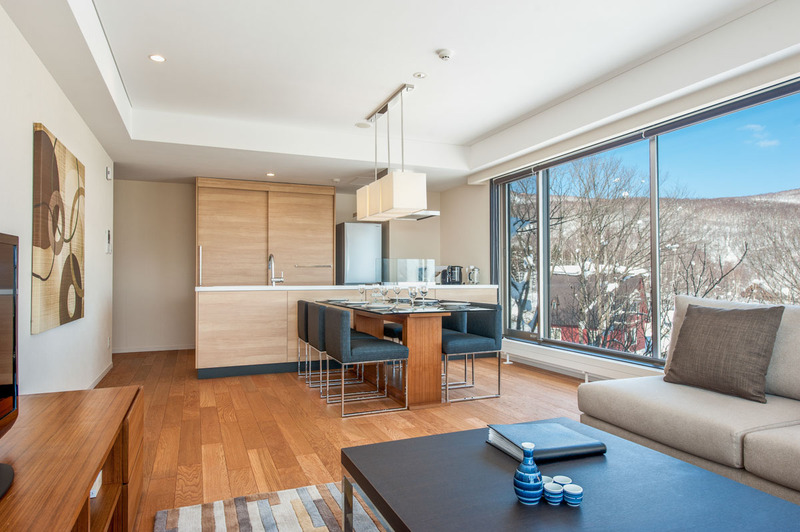 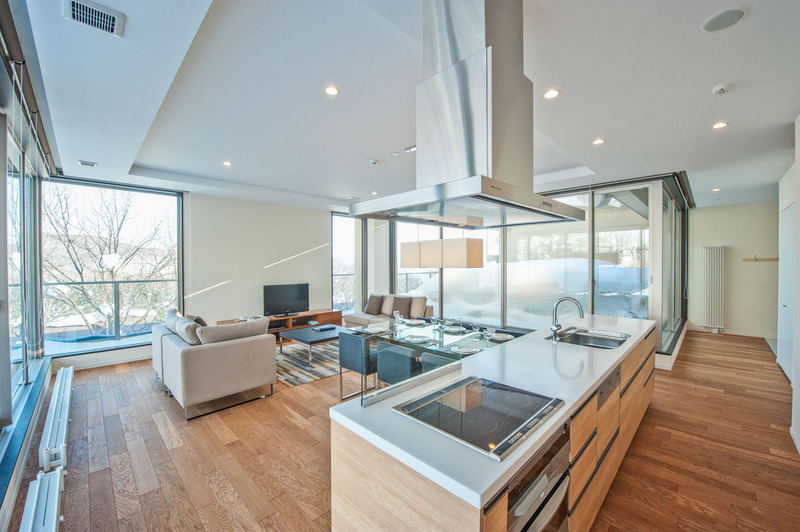 Expansive terrace and balconies for the exclusive use of penthouse guests. 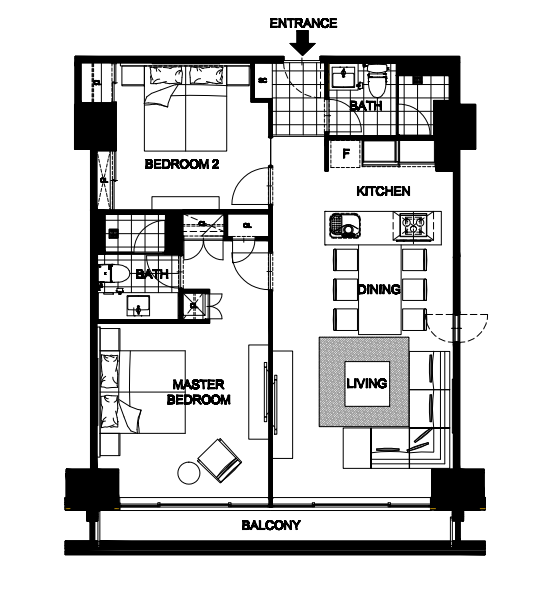 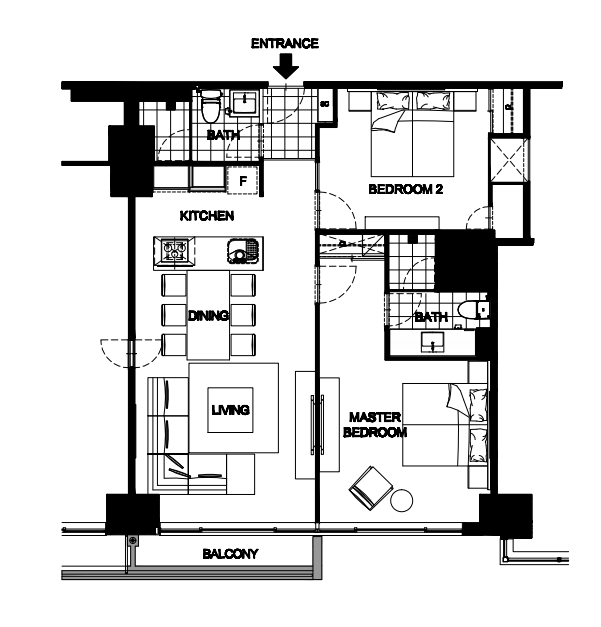 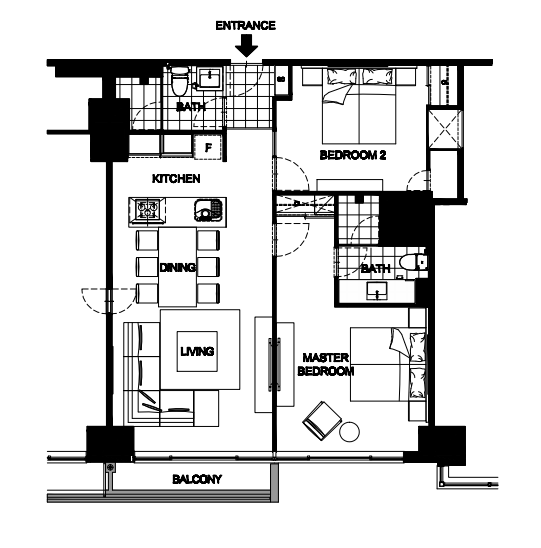 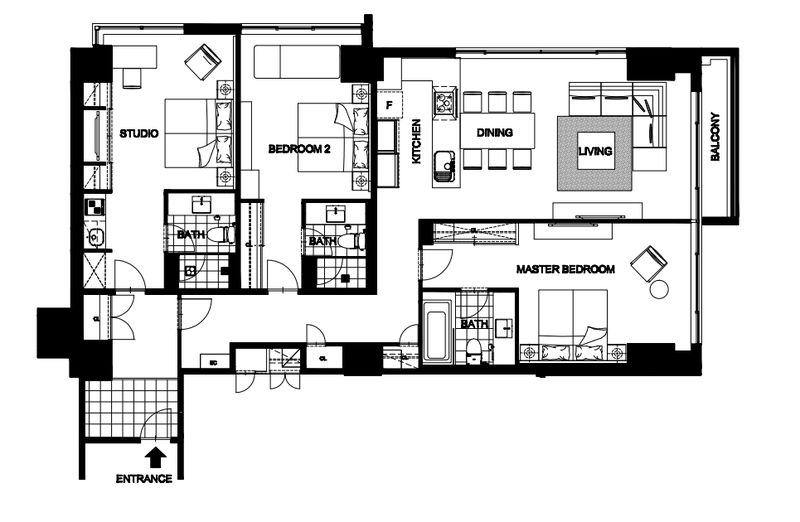 2 Bedrooms, with a full-feature kitchen and open plan living/dining. 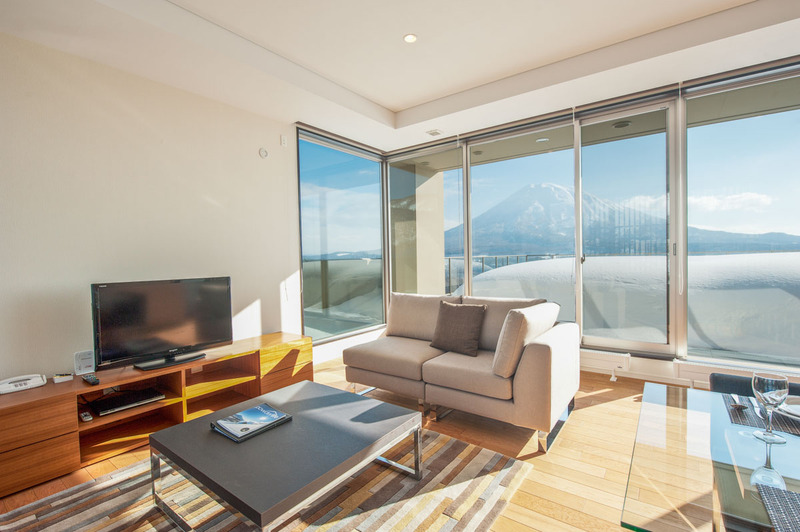 Both bedrooms and living room feature views of Lower Hirafu Village and majestic Mt Yotei. 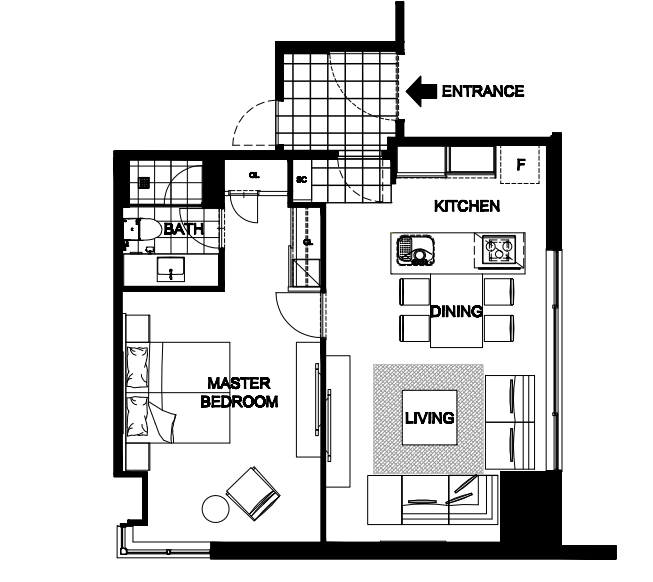 2 Bedrooms, with full-feature kitchen and open plan living/dining. 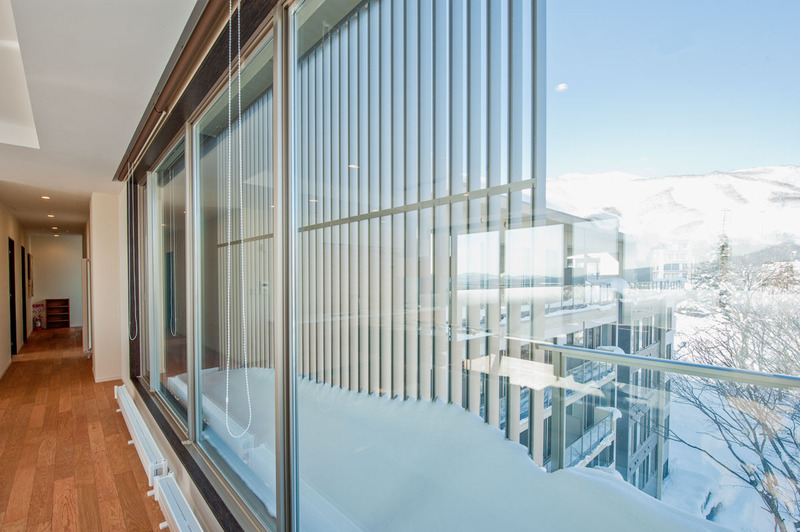 Feature windows bring in natural light and gorgeous snow-covered vistas. 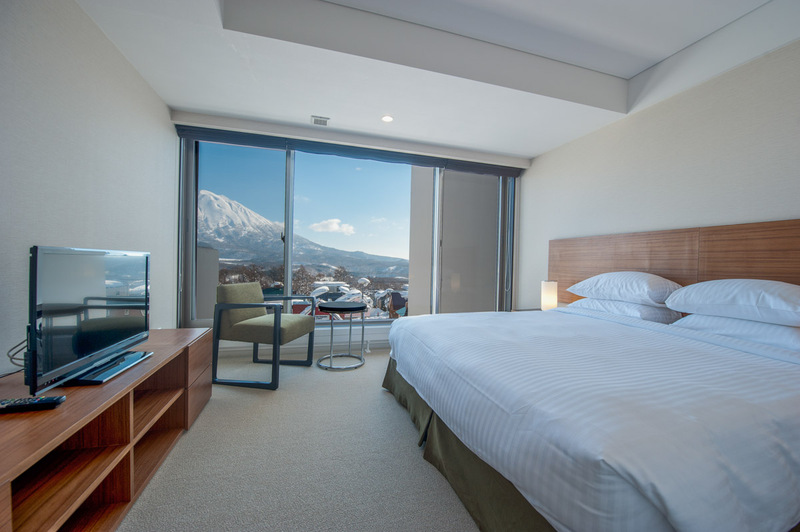 Views over Hirafu Village and forests from living and master bedroom. 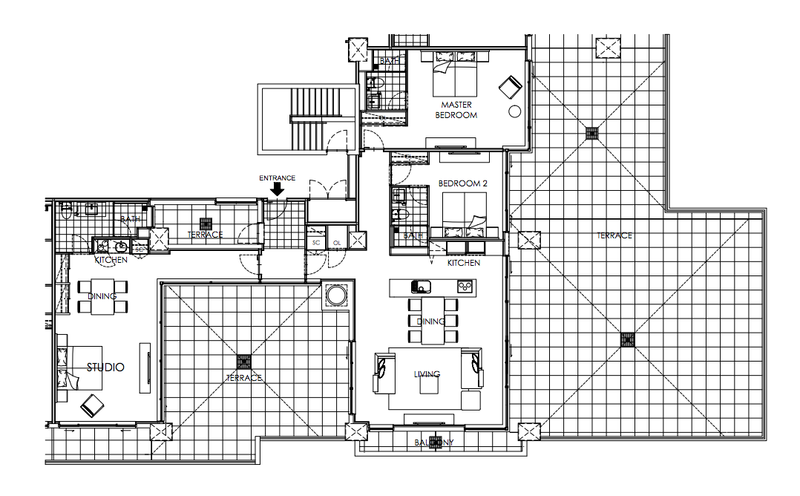 3 Bedrooms, master bedroom has en suite bathroom with bathtub. 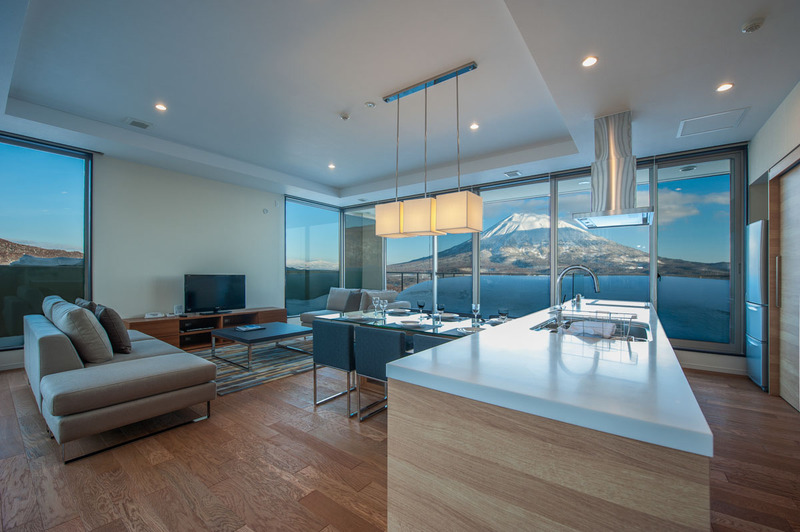 Television outfitted with Apple TV, DVD player and English and Japanese TV channels. 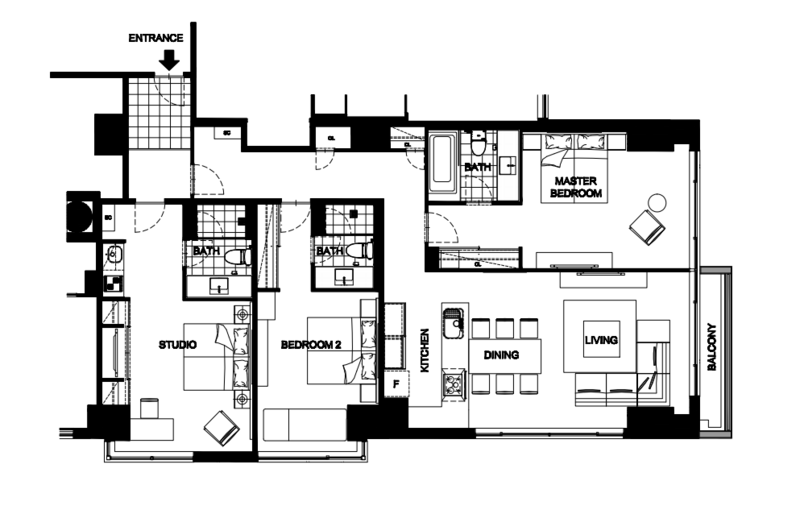 The third bedroom is a semi-independent studio with own en suite and television setup. 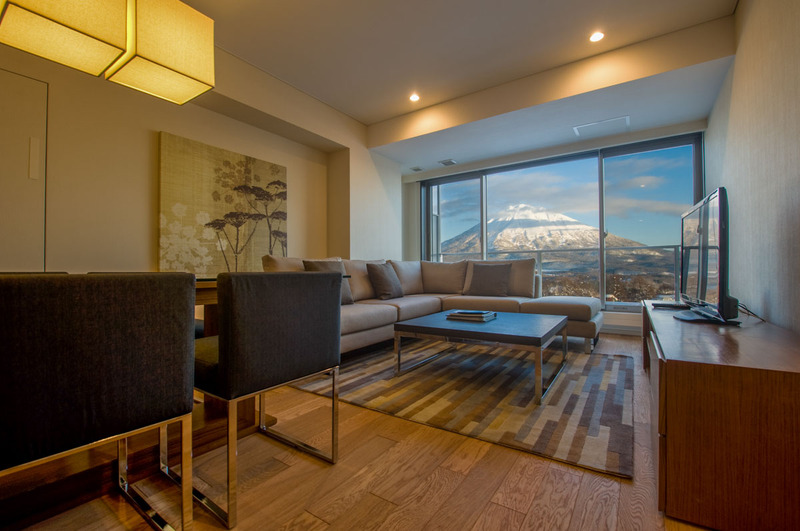 Living room and master bedroom feature views of either Mt Annupuri, Mt Yotei, or the village. 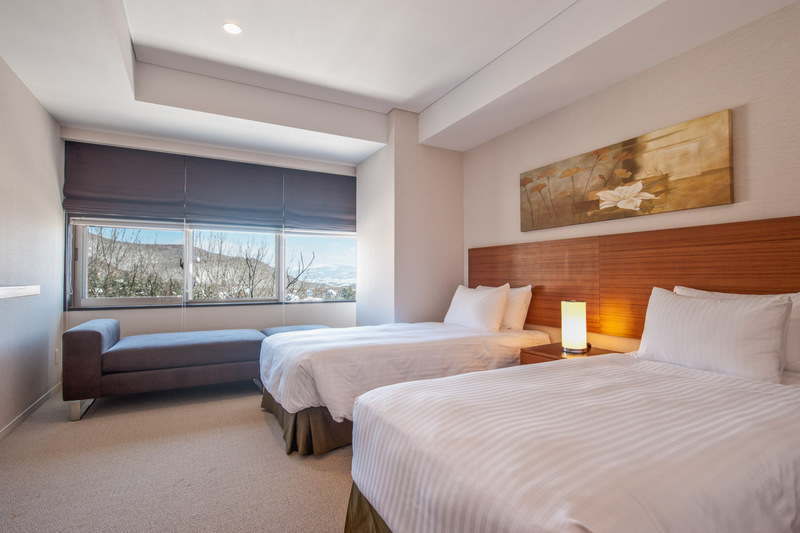 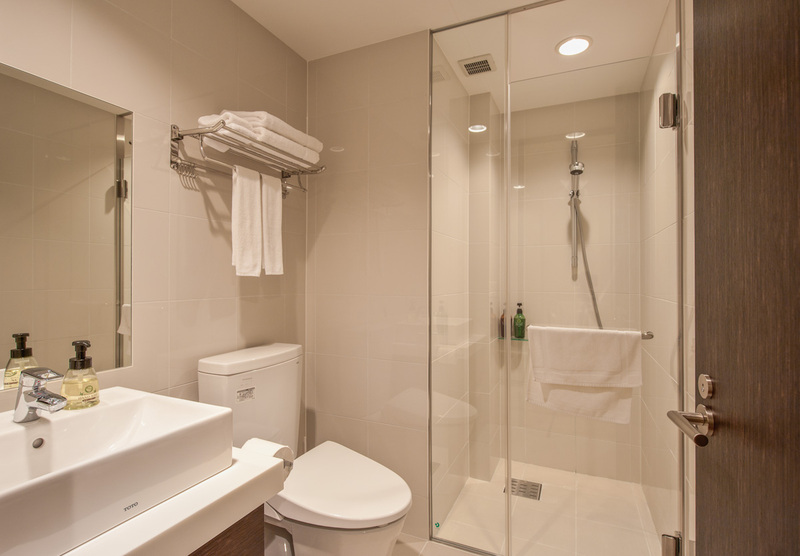 2 bedrooms with television outfitted with Apple TV, DVD player and English and Japanese TV channels. 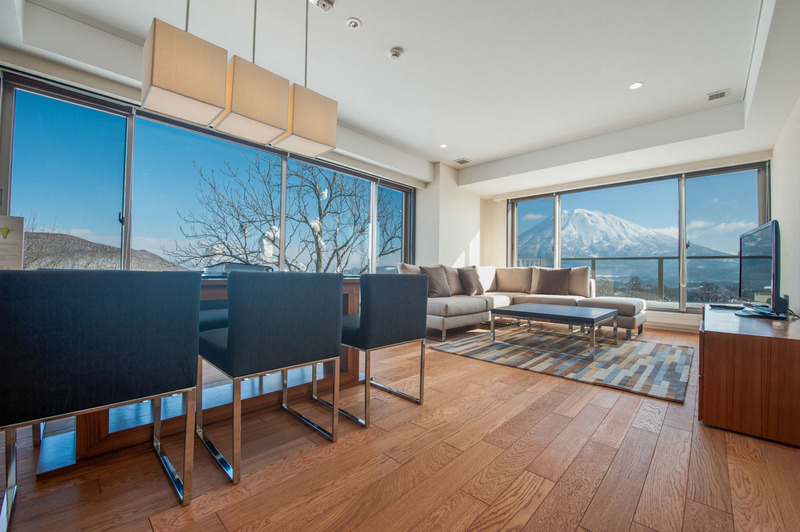 Master bedroom and living room connect onto private balcony and feature views of either the ski hills or Mount Yotei. 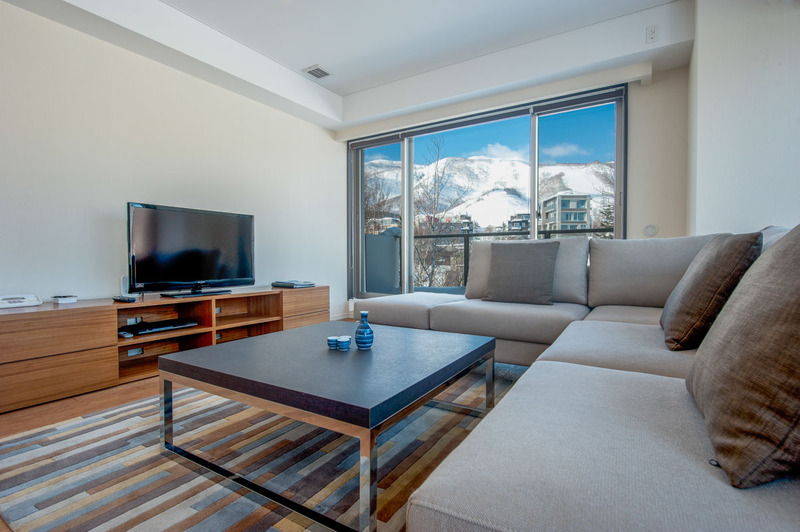 1 Bedroom apartments feature a fully equipped kitchen, spacious living space and dining table – everything you need in comfortable alpine apartment living. 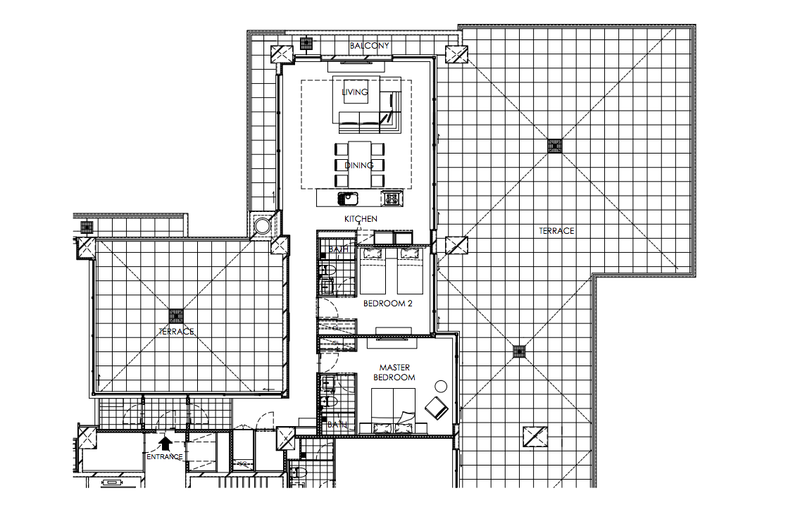 Washing machine and dryer are available in shared spaces on each floor.